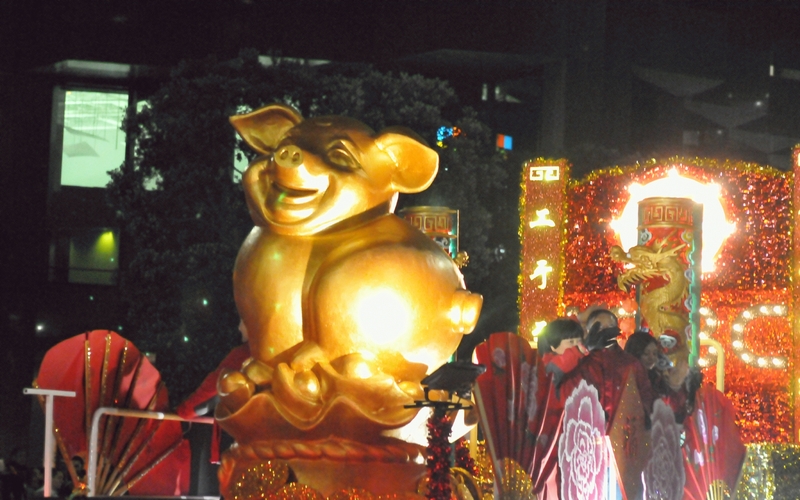 The Industrial and Commercial Bank of China float had a fat, happy pig seated on it. 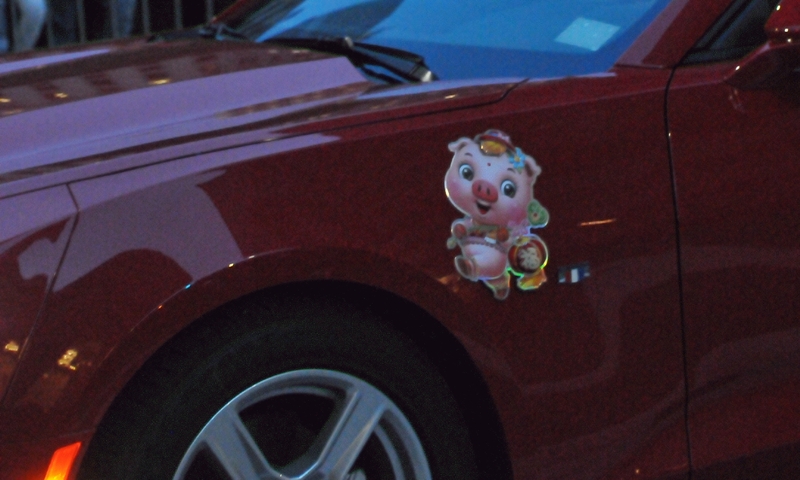 Sandra Lee Fewer , a San Francisco member of the Board of Supervisors, rode in a car with a pig decal on the side. 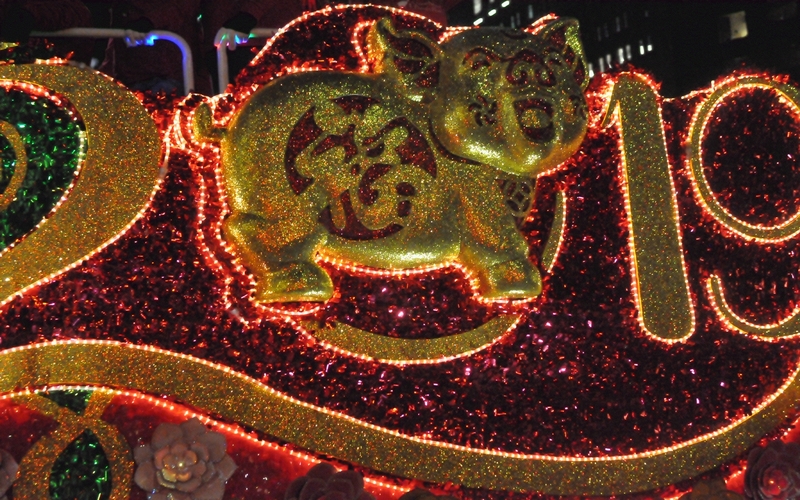 The Southwest Airlines float featured a pig on its side. 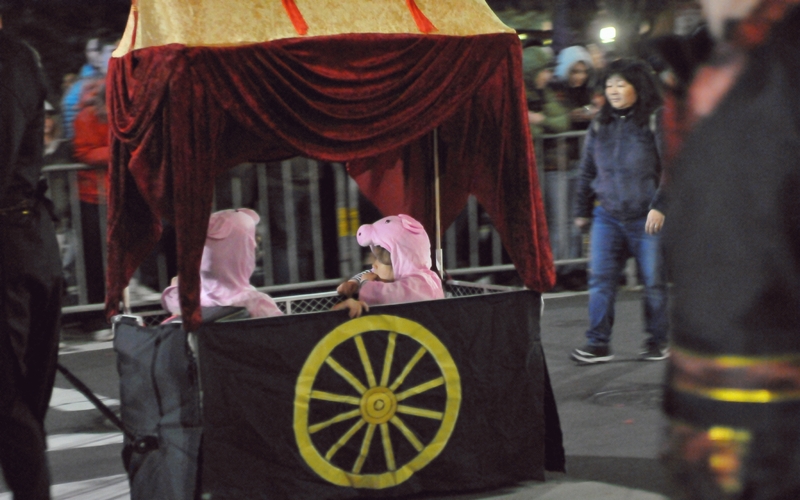 Presidio Knolls School featured two kids dressed as pigs being pulled in a cart that was decorated to resemble a wagon. 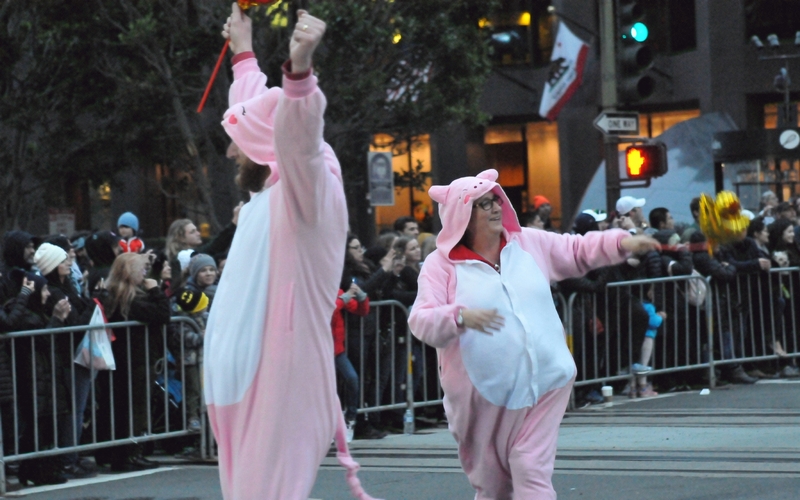 Two people with the Chinese American International School danced their way along the parade route. 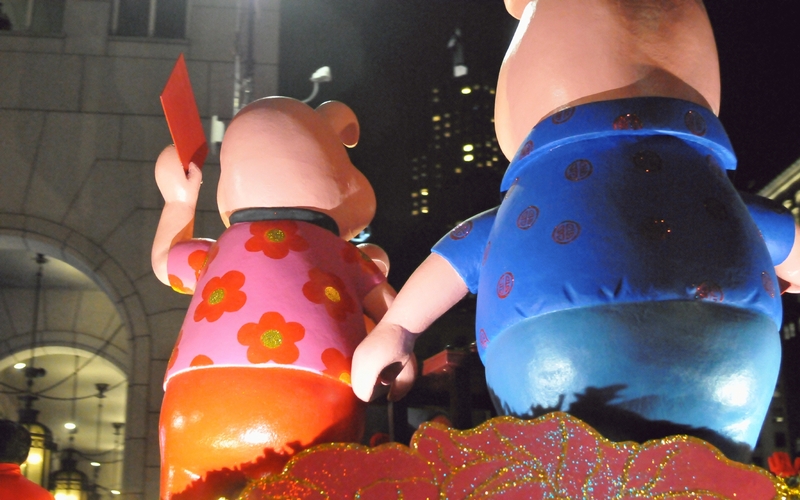 The US Bancorp float featured a family of pigs with the mother pig holding a bank pass-book. 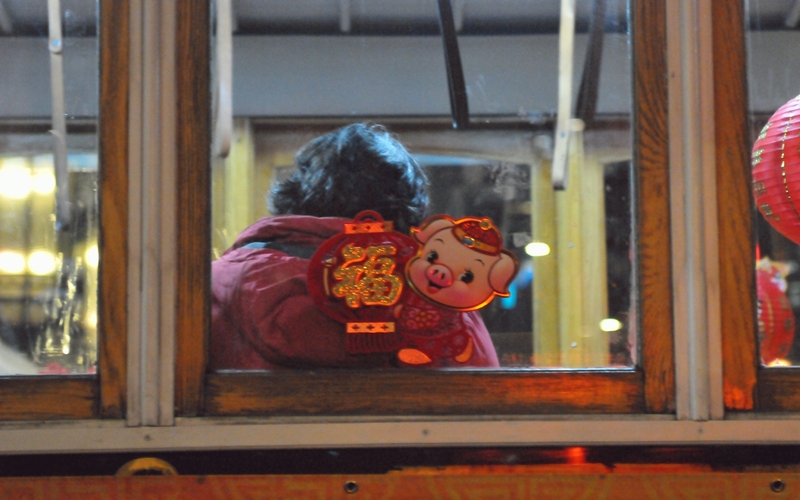 A pig sticker was applied to the glass of a fake cable car that was used as the float for KTVU Channel 2. 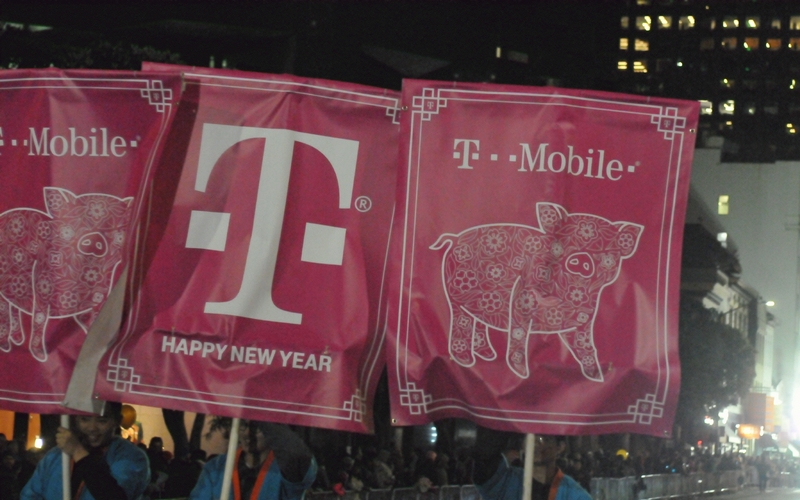 Flags carried by the T-Mobile contingent featured a fancified image of a pig. 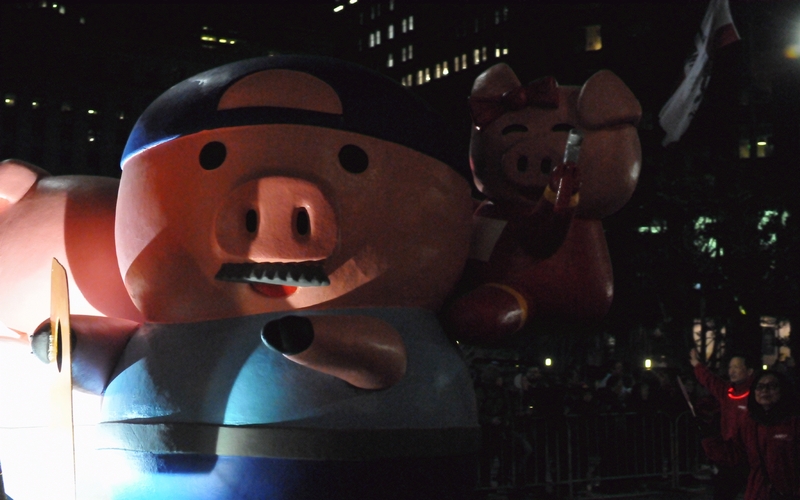 The AARP float featured a retired pig with a mustache and wearing a baseball hat backwards.